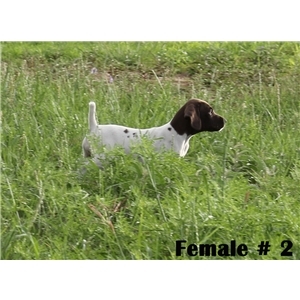 Three special female pups available ! 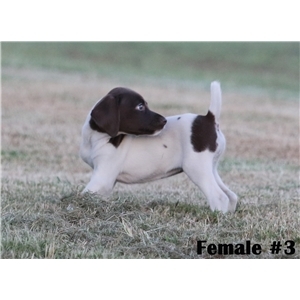 Already going with me in the field every day, retrieving and just being allowed to be bold outgoing pups ! Sire: Keg Creek Second Edition - won big Open Derby before we bought him and now one of our best guide dogs. Son of GAFC FC AFC TJust Lucky Three Spot - whose both parents were National Field Champions. 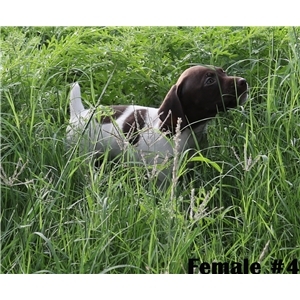 Dam: Daughter of our Jake - RU NFC Cajun's Rock Solid and a Rawhide Clown bred female. 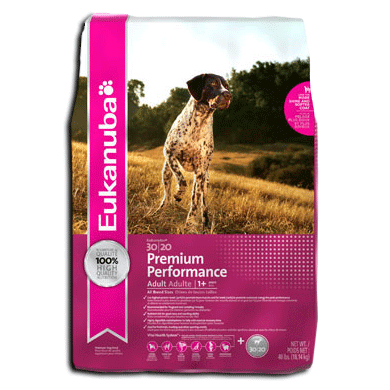 I have trained many of her offspring and they are excellent hunting dogs !